Localization producer Scott Strichart takes us behind the scenes of Yakuza 0 to tell what we can expect from the game when it releases in January 2017. A little typo in the title, guys. Video is nice. Great video. I love this series, gets me hyped to play it every time. 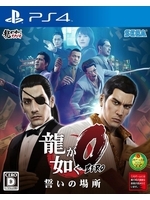 I might even buy it twice (digital and physical) to hopefully send a signal to SEGA that this is very much wanted and appreciated.